Your home needs its gutters. 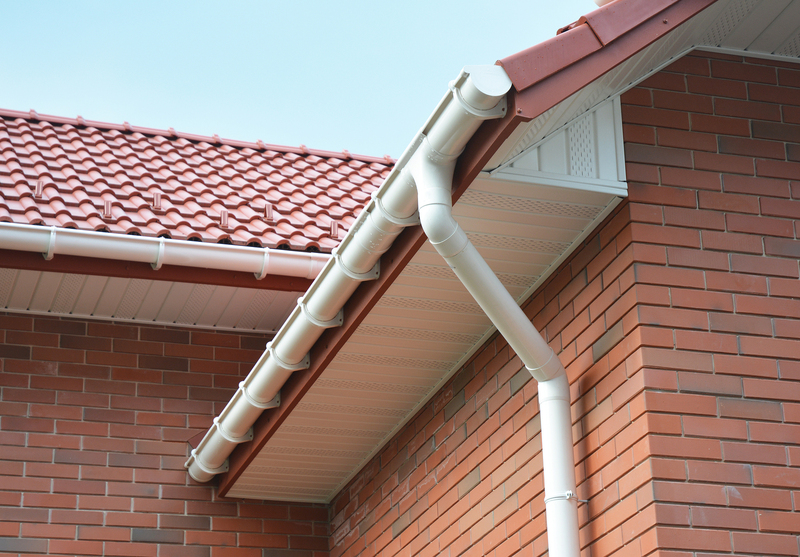 Gutters control the flow of precipitation and debris to prevent them from damaging your home. When it is time for gutter replacement, you have several options to choose from. Which material is best for your home? Vinyl gutters are a popular choice because they are a cinch to install and thus can be installed by the homeowner. They resist rust and denting, and their color does not fade over time, so they’ll look nice as long as you have them. If you live in a hot climate, however, vinyl gutters may not be the right choice, as they tend to warp in extremely hot temperatures. Aluminum and steel are also popular choices. They, too, are rust resistant. Steel gutters are great for climates that experience heavy storms because they are strong. Aluminum gutters are popular, but they tend to dent if they are bombarded with intense inclement weather. Certain finishes help these gutters stay attractive longer. If you choose aluminum or steel for gutter replacement, they must be installed by a professional. Copper gutters are expensive, but the extra expense can pay off in the long run. They can cost five times as much as the other types, but they may also significantly increase your home’s value, and the value only increases with time. They are low maintenance and rust resistant, although unfinished copper can turn green. The color change can be avoided by protecting the gutters with a sealant. As with aluminum and steel, copper gutters must be installed professionally. When it is time for gutter replacement, you don’t have to stick to what you’ve always known. Weigh your options and consult design experts to see what type of gutter works best for your home. By choosing something that lasts a long time and may even increase the value of your home, you can increase both your curb appeal and peace of mind with your next upgrade.